The Vodafone Warriors’ commitment to encouraging people with physical disabilities to get involved in rugby league has been underlined with Charnze Nicoll-Klokstad’s appointment as an ambassador for Physical Disability Rugby League New Zealand. 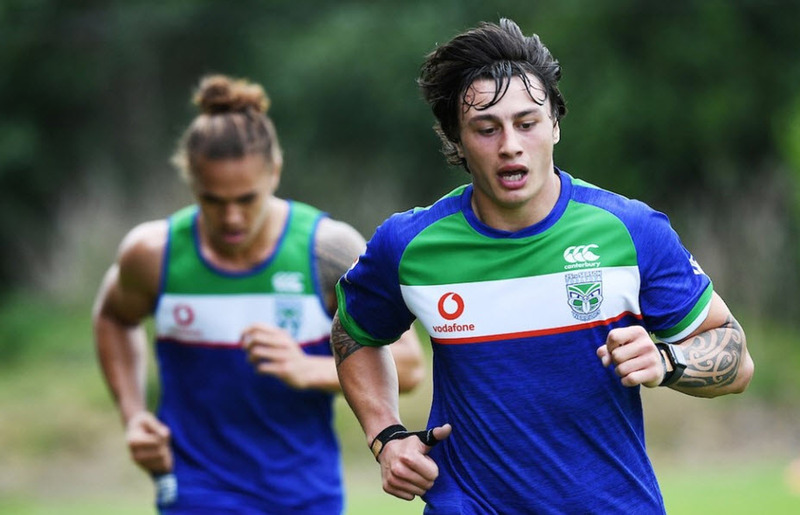 The role will see Nicoll-Klokstad attend PDRLNZ team trainings to help players prepare for upcoming tournaments as well as promoting more interest in rugby league among people with physical disabilities. He said he was proud to be asked to be an ambassador and says encouraging people with physical disabilities to give rugby league a go is a cause that has special meaning for him. His older brother Tyson had muscular dystrophy and died from the condition in 2010 when he was only 19. “Because of my personal experience with supporting my brother and seeing the challenges he went through, this is something that’s really close to my heart and I guess this is my way of giving back,” said Nicoll-Klokstad. PDRLNZ organiser Sandra Michelle Hickey welcomed Nicoll-Klokstad’s appointment. “We are thrilled to bits to have Charnze join our whanau as ambassador,” she said. “As a young man with a close relationship to disability through his brother there couldn’t be a better choice than Charnze. The Vodafone Warriors and Physical Disability Rugby League’s partnership began in 2017. As well as providing the organisation with the ongoing support of a player ambassador, the club has supplied kit for the national team and staged a physical disabilities match as a curtain-raiser before the Vodafone Warriors’ NRL home game against Cronulla this year. Nicoll-Klokstad made headlines last year when, in a random act of kindness, he purchased a pair of sneakers for a young boy - Takiri Wikitera - who has cerebral palsy. University of Canterbury Senior Lecturer Denise Powell has been awarded a Churchill Fellowship to research specialist education for deaf and hard of hearing students in the United States, Australia and Hong Kong. “I will investigate the possibilities for bilingual education in co-enrolment settings for deaf and hard of hearing students in New Zealand,” Dr Powell says. In New Zealand, most deaf and hard-of-hearing (DHH) children – about 95% – are mainstreamed at their local school, with or without specialist support. The Ministry of Education’s inclusion model and technology changes have fed this increased mainstreaming. Although many people and groups support the right of children with disabilities to attend their local school, some have mixed feelings about the success of such moves for deaf children, according to the specialist teaching academic from UC’s College of Education, Health and Human Development. “Some believe that DHH students can be socially and linguistically isolated in environments where they are the only DHH person as, even with the latest technology, deaf children can never be hearing children. We need to consider how we develop an environment that encourages the educational and social achievement of these deaf learners,” Dr Powell says. The benefits include enhancing the provision of New Zealand-based services to deaf students in order to replicate an environment which acknowledges the cultural and linguistic conditions required to create an equitable learning environment for minority children, she says. Co-enrolment can be broadly defined as educating groups of DHH students with their hearing peers in the same educational environment. Co-enrolment differs from mainstreaming in that mainstream programmes usually have a single DHH student in a general education classroom. Co-enrolment has several DHH students within a single classroom and assumes that DHH and hearing students should be equal participants with equal status in the classroom. Co-enrolment usually involves co-teaching by a regular classroom teacher and a teacher of the deaf. There are co-enrolment programmes in the United States, several European countries, Hong Kong, Japan and Australia. Churchill Fellowships allow people to design their own research projects, travel the world and further their knowledge in a chosen field, before returning to make their knowledge available to New Zealand society. The Fellowship is made possible by the Winston Churchill Memorial Trust, founded at the request of, and as a living memorial for, Sir Winston Churchill. He believed that world peace and greater international understanding could be promoted through ordinary people travelling to other countries and experiencing other cultures. As part of the Fellowship, Dr Powell will produce a full report of her investigation which will be made available online at the Winston Churchill Memorial Trust website. She is one of 12 Winston Churchill Memorial Trust Fellowship recipients for 2019.